Mosquito sting � no problem, but getting stung by some insects can really hurt or even kill. There are the stories of �this hurt more than anything�, or �that bee hurt but the ant was even worse�. 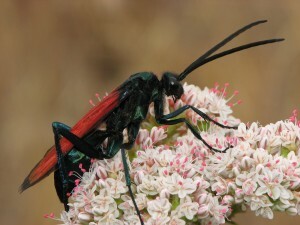 Well, in this world we measure just about everything, and in this case a scientifically developed �sting pain index� is there to help but bites and stings in context, and end that debate of which hurts the most (for hymenoptera, the class of stinging insects that originated in the Triassic Period, the oldest fossils belonging to the family). Stinging mostly means nasty encounters with bees and other social insects that sting purely to defend the hive, almost a form of high-tech warfare from a human standpoint. With a little venom, they can penetrate cell membranes, manipulate neurons, convert systems of self-defence into instruments of self-destruction, alter the function of the heart, and even, in some cases, take over the central nervous system and subvert a victim’s entire behaviour pattern to their own needs. The toxins are so subtly attuned to biochemical nuances that pharmaceutical companies regularly study them in search of new drugs. Human tests are currently under way, for instance, using components of scorpion venom to treat brain tumours. A toxin from marine cone snails is the basis for a promising new spinal pain remedy. Schmidt pain description: Light, ephemeral, almost fruity. A tiny spark has singed a single hair on your arm. 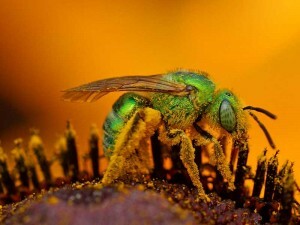 Sweat Bee, common name for any of a large family of bees, many of which are attracted to the salts in human perspiration. They are generally black or metallic colored, and some are brilliant green or brassy yellow. 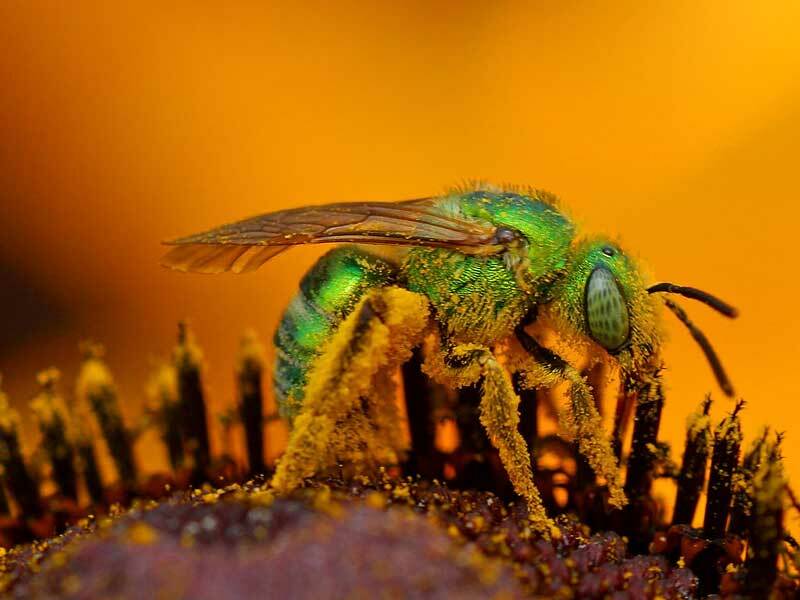 Sweat bees are among the most common bees wherever bees are found, except in Australia, where they are relatively uncommon. There are about 1000 species in the United States, Canada, and Central America. The sting is usually a minor problem for most people. 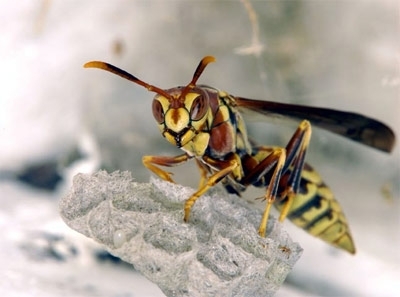 It may cause some itching or an stinging sensation and mild swelling, but the severity of the reaction depends on the person’s sensitivity to insect venom. Prompt emergency care may save their life if they are severely allergic. Schmidt pain description: Sharp, sudden, mildly alarming. Like walking across a shag carpet & reaching for the light switch. Native to South America, these ants landed in Mobile, Alabama, around the 1930s, probably in soil that was used for ships’ ballast. They are common throughout the Southeast and have spread as far west as California. Fire ants typically attack en masse. The sting of one ant causes the victim to twitch. Then other ants in the swarm get agitated and sting as well. Schmidt pain description: A rare, piercing, elevated sort of pain. Someone has fired a staple into your cheek. The bullhorn acacia is a thorn tree acacia native to Mexico and Central America. In the tree’s natural habitat colonies of stinging ants occupy the hollowed-out thorns and defend the tree against insects, browsing mammals and strangling vines in one of nature’s most amazing symbiotic relationships between a tree and an insect. Schmidt pain description: Rich, hearty, slightly crunchy. Similar to getting your hand mashed in a revolving door. 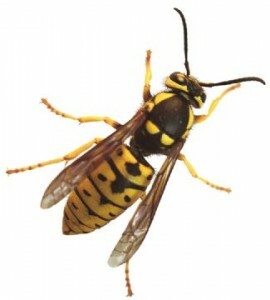 Hornets, close relatives of yellow jackets, live in nests that are sheathed in a papery covering and have a football shape. 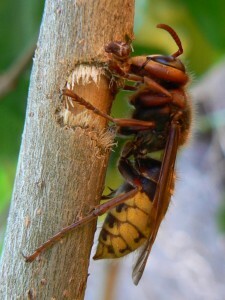 Never attempt to remove a nest without professional help, because hornets can sting repeatedly and their venom contains acetylcholine, a powerful pain stimulant. Applying meat tenderizer to a sting breaks down venom components, reducing pain. Schmidt pain description: Hot and smoky, almost irreverent. Imagine W. C. Fields extinguishing a cigar on your tongue. This is the wasp that crawls into your soda can seeking sugar, with nasty results next time you take a sip. 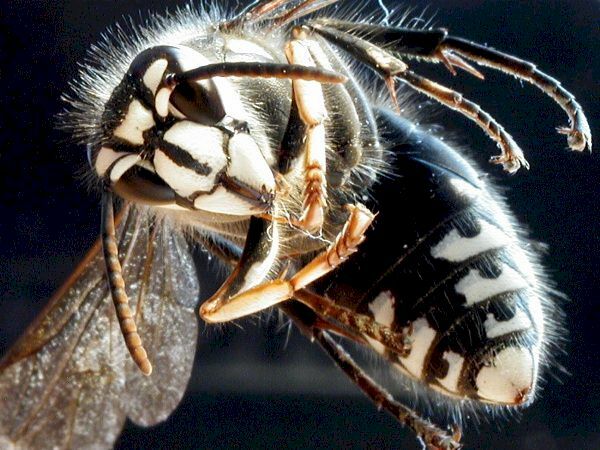 Unlike a honeybee, it can sting repeatedly, and it causes about 20 deaths a year in this country, usually from allergic reactions. If you’re not allergic, you might want a nest in the yard, since North American species feed on pests like mosquitoes and houseflies. Schmidt pain description: Like a matchhead that flips off and burns on your skin. Contrary to myth, pinching out the stinger doesn’t cause it to inject more venom. So don’t waste time looking for a credit card to scrape it out; just get it out quickly. The amount of venom injected depends entirely on how long the stinger is stuck in your skin. Pouring salt water on the wound and taking ibuprofen or other anti-inflammatory drugs will help dull the pain. Schmidt pain description: Bold and unrelenting. Somebody is using a drill to excavate your ingrown toenail. Why put ants with a painful sting into toy ant farms? Because these ants lack sticky substances on their feet and can’t climb out. They also dig like crazy and are easy to see. In the wild, they’re found from Florida to California. It would take 800 or more stings to kill an adult human, but no one who’s been stung once stands on these ants’ nests long enough to get stung twice. Schmidt pain description: Caustic & burning. Distinctly bitter aftertaste. Like spilling a beaker of hydrochloric acid on a paper cut. Schmidt pain description: Blinding, fierce, shockingly electric. A running hair drier has been dropped into your bubble bath. Several Pepsis species in the desert Southwest are known as tarantula hawks because they attack hand-size tarantulas, paralyze them, and drag them off to a burrow to serve as food for wasp larvae. You’re unlikely to get stung, unless you happen to be unusually short, hairy, and eight-legged. The debilitating agony from a Pepsis wasp sting lasts about three minutes in humans. Schmidt pain description: Pure, intense, brilliant pain. Like fire-walking over flaming charcoal with a 3-inch rusty nail in your heel. The bullet ant is named that because of its powerful and potent sting, the sensation of which has often been likened with that of being shot with a bullet by those who have been stung, the pain of which lasts for a full 24 hours before even beginning to subside. 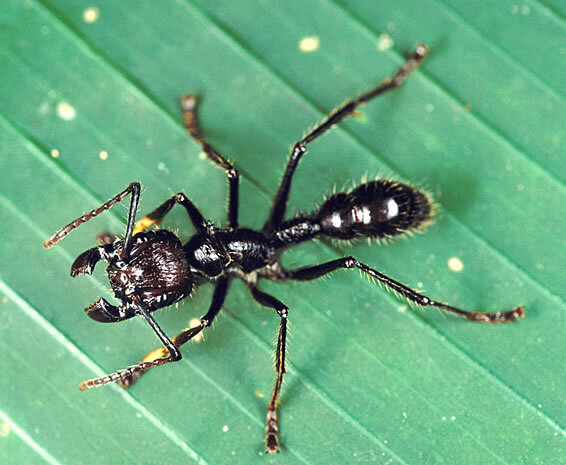 The bullet ant inhabits Atlantic coastal lowland rain forests from Nicaragua southward to the Amazon basin. “I have been reading your entries during my afternoon break, and I have to admit the whole article has been very enlightening and very well composed. Yet another fantastic post, really awesome to visit your site! Keep up the good work! Whaddya know � this post goes up and it turns out that we have a grammar nerd in the audience ! UGH!I wrote a really long response to your post but my internet crapped out and I lost it all! Oh well, just wanted to say that it was a great post! Awesome!